TOP up mulch if needed but make sure the soil is moist first. Add a wetting agent if needed to ensure water penetrates into the soil and reaches down where plant roots can access it. Sow some more vegies if you have water to support their growth — zucchini, lettuce, dwarf beans, basil, silverbeet, spinach, broccoli and brussels sprouts can be started off now as well as beetroot, carrots and parsnip. Pull out any weeds in the garden as they steal valuable water from wanted plants and also harbour pests and diseases. On really hot days cover your plants with shadecloth to protect them from severe heat and winds. This can be left on for the day and taken off when conditions abate. Hydrangeas, tomato plants and fuchsias are some that will appreciate protection. Place hanging baskets on the ground on really windy days to prevent them drying out excessively and having to water several times on the one day. If you have to be away for a few days set your sprinklers and irrigation systems on timers to water the garden and use aqua spikes on pots to help keep water up to them. 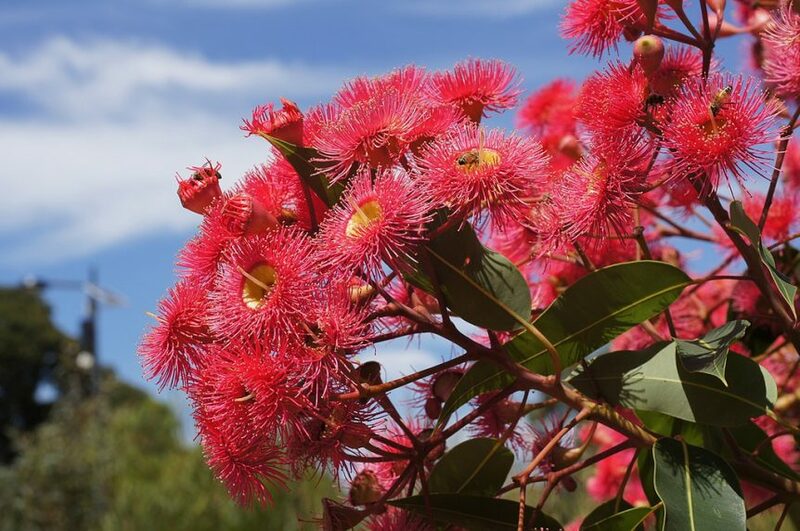 Enjoy the West Australian flowering gum, Corymbia ficifolia, and all the grafted smaller growing cultivars of this species. They are spectacular and some towns are renowned for these — Drouin and Meeniyan in Gippsland are two that have plenty in public spaces. Visit native gardens such as the Australian Garden at the Royal Botanic Gardens at Cranbourne to see what natives star in the summer.